Fancy a Picnic? 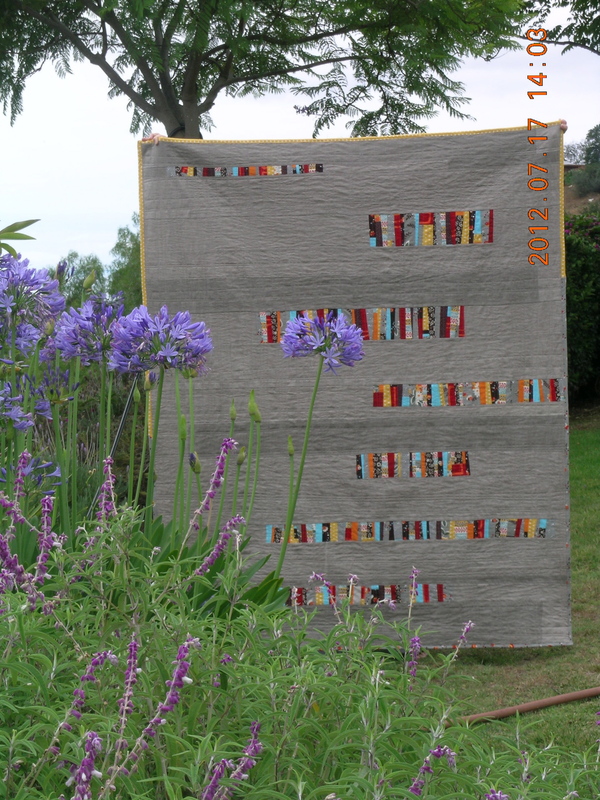 Quilt– Finished!! I recently had the pleasure of meeting the really enthusiastic and friendly bunch of quilters at the Ventura Modern Quilt Guild. They asked a few months back if I could come to one of their meetings and share some of my quilts! Of course I was super excited and honored at that request. As I began gathering all my quilts to bring to the meeting, I realized that I have been in a serious quilting rut. 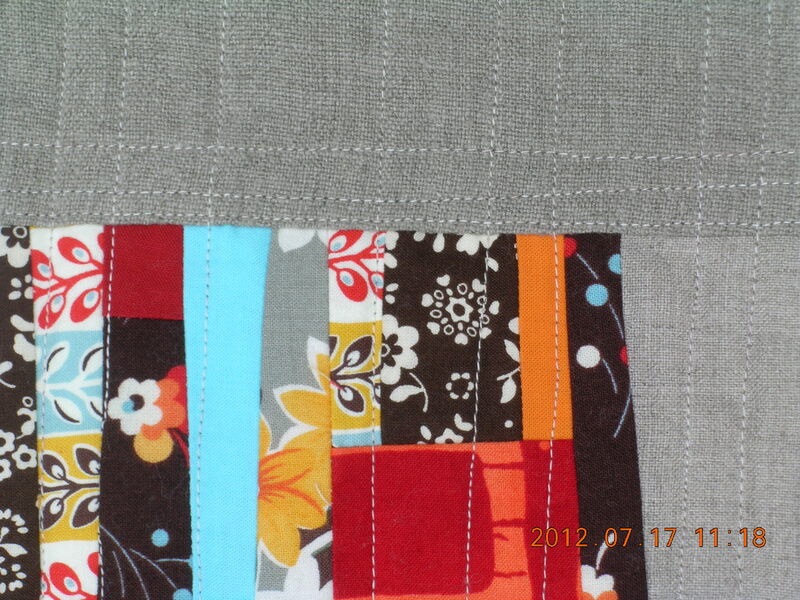 In almost all my quilts, I have used white or off white as my negative space color. I love the clean, minimal look of that but have been feeling for a while now that I’m ready to try branching out a bit. Seeing many of my quilts all together in one space really convinced me!! Thanks again for a fun evening VMGQ, and letting me ramble on about quilts, and of course for helping get out of my quilting rut!! That is perhaps what drew me to creating this Fancy a Picnic? Quilt! I know, I know, not exactly the boldest of color choices for breaking out of my rut, but it’s a beginning! I started this quilt several weeks ago, but had to put it away for a a bit due to some random quilty issues that I was not in the mood to deal with at the time. I really enjoy working with linen and was really drawn to this vision, so I couldn’t stay away from this quilt project for long. I love the way the linen shifts to create movement, it creates such a lovely organic feel. I chose to use two different colors, very subtly different, and weaves for added interest and texture. 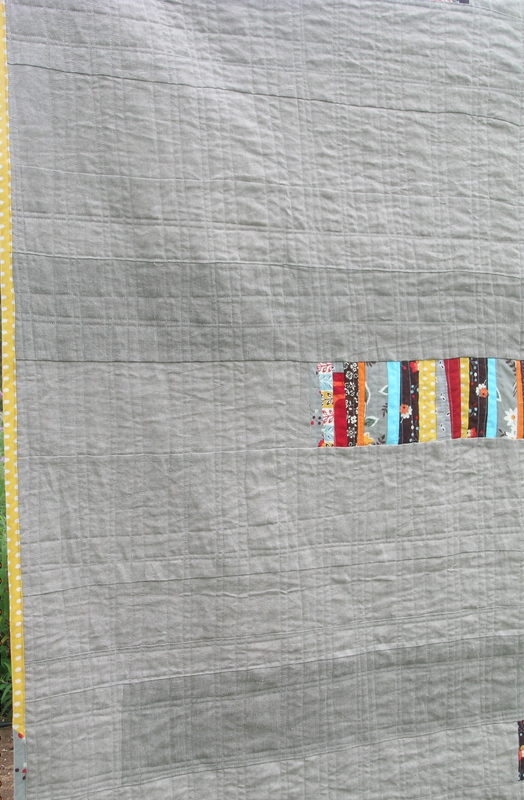 I love improv strip piecing, and chose mostly Flea Market Fancy to work with here. Although I couldn’t resist putting a bit of Malka’s batik in there along with a few Kona solids to “ground it out” a bit. After moving and changing the placement of the strips many times, I finally ended up with a finished quilt top- at some point, you just have to commit right? The back came together pretty fast using my leftovers and a little more FMF I got from the lovely gals over at SuperBuzzy! After seeing Alex’s (teaginny designs) Flashdance Quilt, I was totally inspired to try some vertical and horizontal quilting lines. I decided on less dense spacing than I usually do. 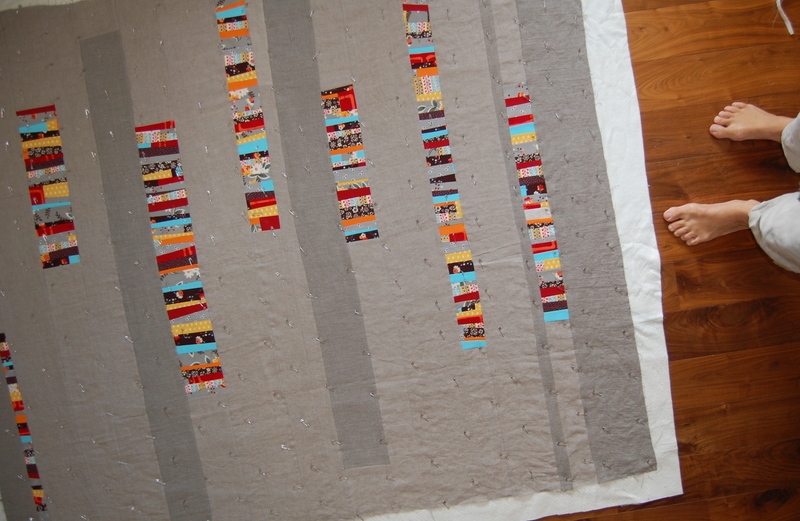 I wanted to keep lots of movement both literally and visually, in this quilt. The binding came together with a rather random choice in leftovers from the front. Although I was sort of going for a more handmade, rustic, vintage look overall…. this quilt still got the machine binding treatment! 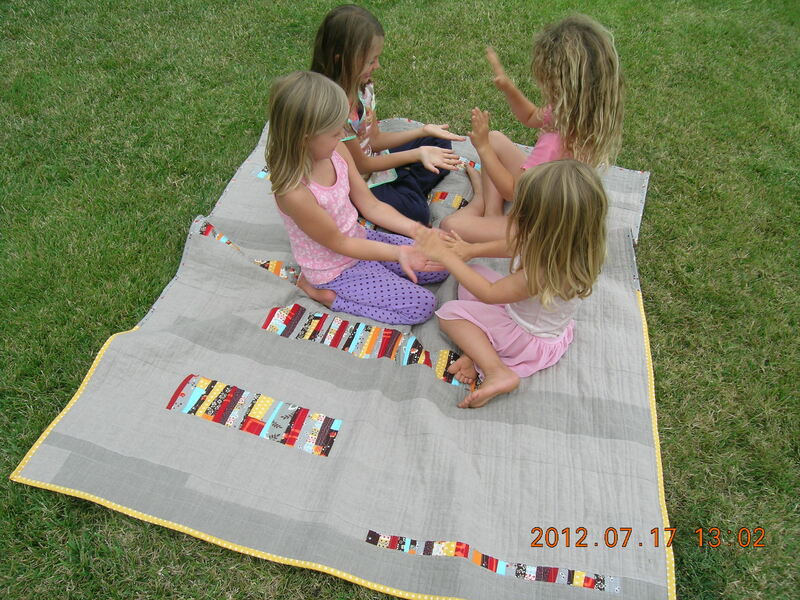 Now all we need here in Santa Barbara is some sunshine- although the lack of sunshine doesn’t stop the girls from enjoying some playtime in the yard- then we’ll be off for our first outdoor feast on our new picnic quilt! I figure after our first real picnic, it’ll need it’s first wash and dry. 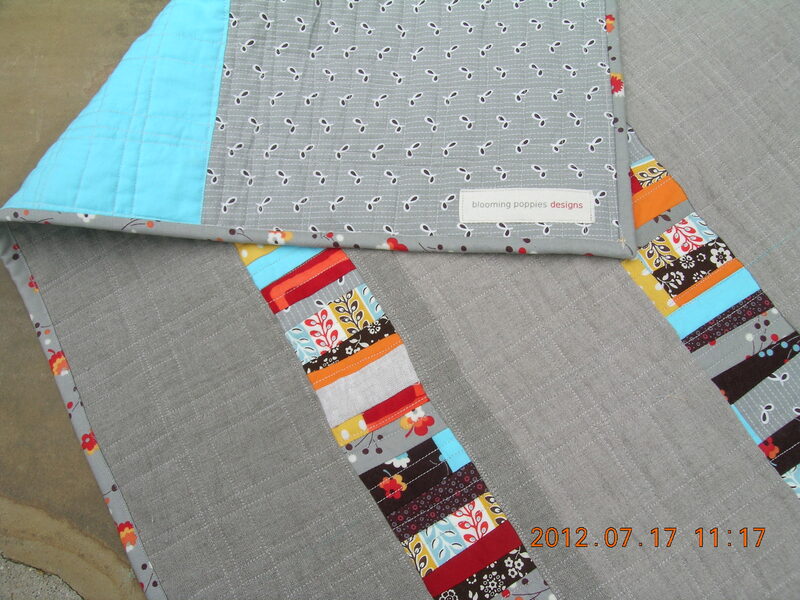 That will bring out even more quilty, crinkly goodness and we’ll love it even more!! Happy summer- hope you’re all getting some sunshine!! 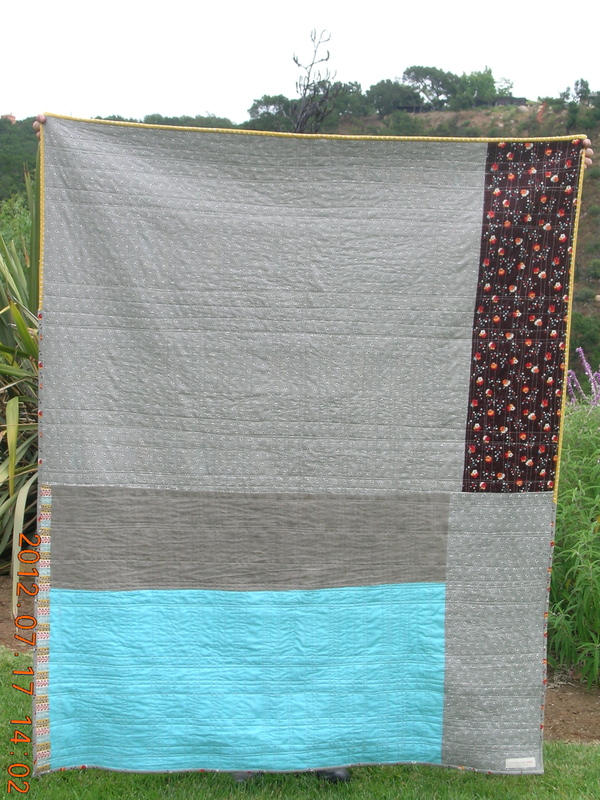 I have some serious quilt-love! I just love how this turned out. The grey is perfect. Way to break out of your rut! I really like your quilting as well. I’ve been wanting to try that style of quilting for a while now. Great work as always!! this is beautiful. i love the linen on this one. i never would have thought of the shifting as “movement” but you are completely right. We were so lucky to have you join us for the VMQG get together! Being able to enjoy your work in person and hear about your process and inspiration was dreamy. I agree with Kelly! We were honored to have you speak to our guild. Your beautiful quilts are even more stunning in person. You have inspired our members to stretch their wings. Your Fancy a Picnic? quilt is wonderful. 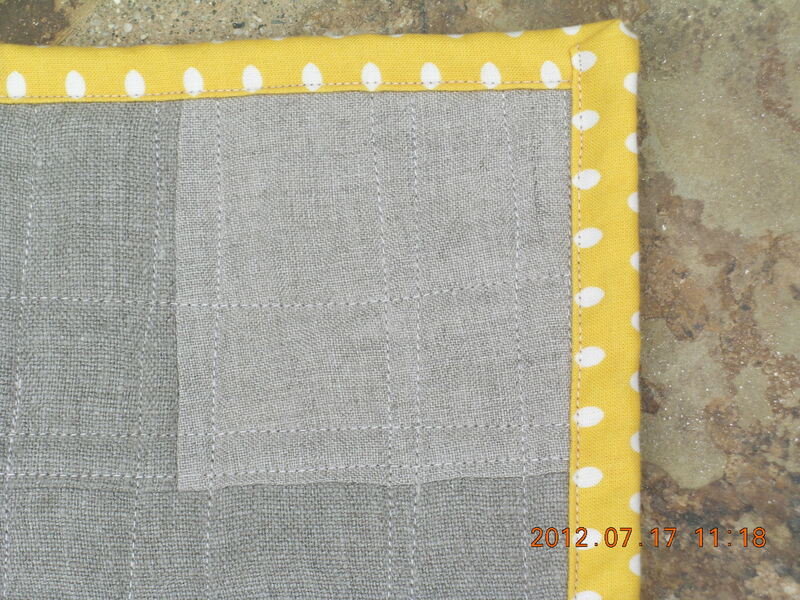 I love the grey linen with the FMF! The quilting and the binding really complement the design. i LOVE this one!!! 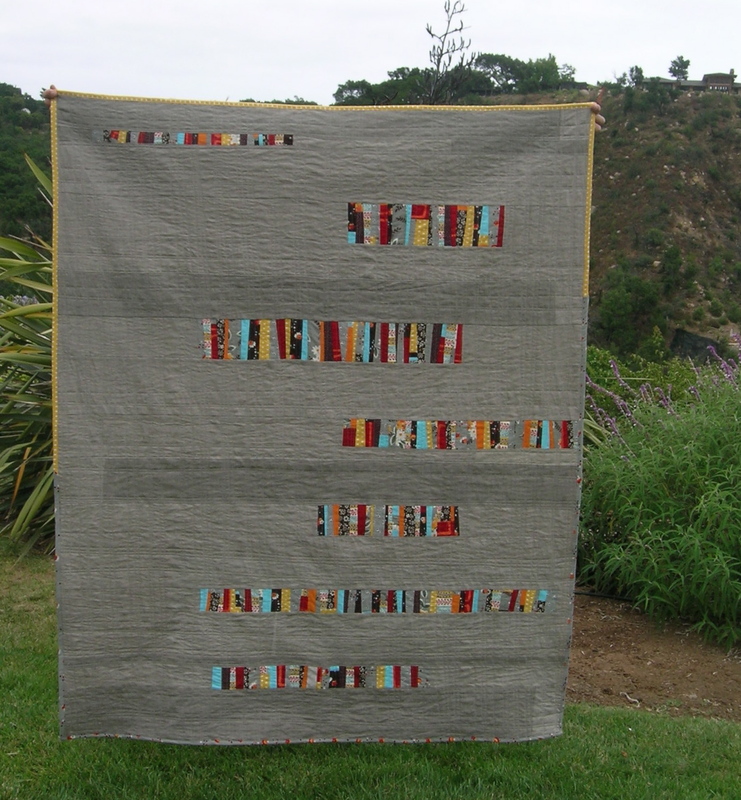 love the linen background with the strips of color! the quilting is really fantastic, too!